Did you know your brows are your most recognizable facial feature? So clearly, keeping them on point should be a priority. But achieving (and maintaining) those perfectly manicured arches can be tedious and agonizing. Enter: Brow threading—a process where our licensed estheticians deliver Instagram-worthy brows sans hours of plucking (and pain). Read on to learn more about our brow threading services. 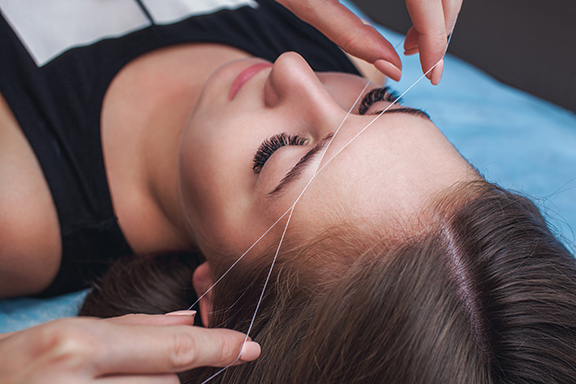 Chances are you’ve heard the term “threading” before—but may not know what it is. (Don’t worry, you’re not alone.) It’s an ancient hair removal service technique where our highly-skilled professionals roll twisted cotton thread over the hairs and then gently pull them off at the pores. It’s much more precise (and less painful) than waxing or tweezing. It’s 100% natural (read: no artificial waxes or chemicals) and considered one of the safest methods for hair removal, especially around the eyes. 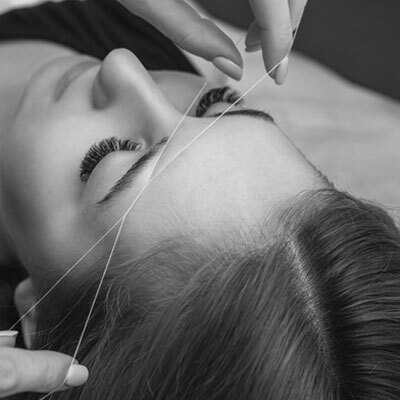 Bonus: Threading lasts longer than tweezing (and possibly even waxing) because it’s removed at the root—growing back slower and less coarse. It is much gentler on the skin, too. 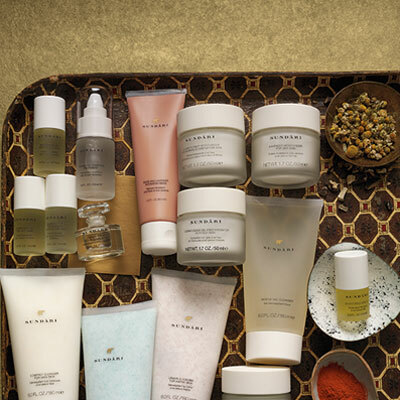 Since this service doesn’t remove layers of skin (looking at you, waxing) your skin is less prone to sun damage. Did we mention it’s quicker than waxing or plucking, too? The process takes about 15 minutes, where we’ll shape and design your eyebrows. Going hair by hair like our experts do creates a beautiful brow that gracefully frames your face with clean, well-defined edges. 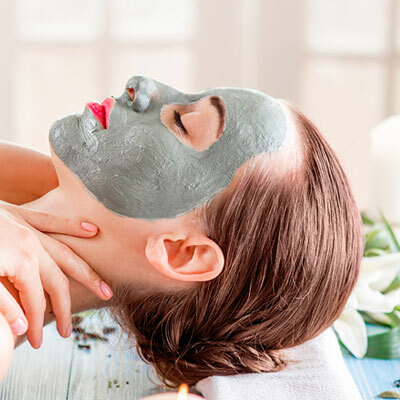 While you may experience slight discomfort, most guests agree the process is less irritating than waxing and plucking, and pulling on delicate skin around the eyes is limited. So, you’ve achieved your dream brows, now how often should you schedule visits to maintain them? This is one of our most frequently asked questions. While the rate of hair re-growth varies from person to person, we generally recommend coming in every two to three weeks to keep that #browgamestrong. Bonus: Threading is so precise that it gets even the tiniest of hairs. While tweezing can’t necessarily grab the shorter, partly-grown follicles, threading can remove all of your unwanted hairs at once. That means the hairs will grow back at the same time (and you can cut out your daily tweezing routine). Ready for beautifully threaded brows? We can make that happen. 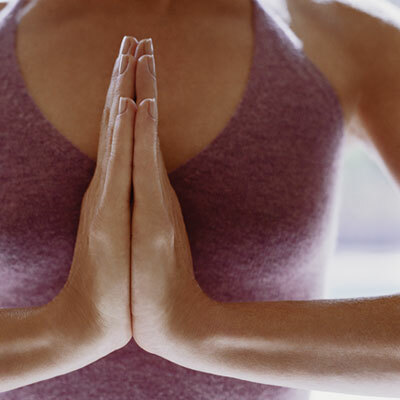 Find the location nearest you and give us a call to book your appointment.